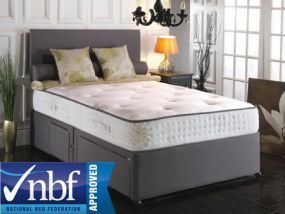 Welcome to our extensive range of super king size memory foam divans. 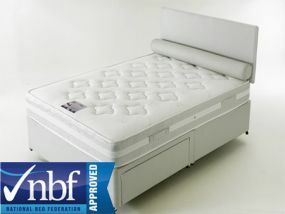 Here you will find all things memory foam. 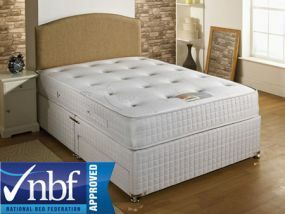 Our range includes varying types of mattresses such as sprung mattresses with memory foam, pocket sprung mattresses with memory foam and foam mattresses with memory foam. All of our super king size divans have been individually tested to rate their firmness, and unlike other retailers we test and rate our mattresses ourselves and don’t just put what the manufacturer suggests. 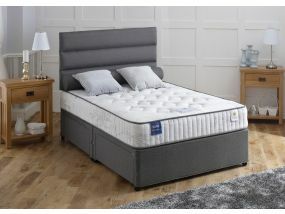 All of our super king size memory foam divans come with free delivery, normally within 5 to 7 working days and with pre-bookable delivery available on the majority of the range you can arrange a delivery date for your new divan that suits you best. Not quite sure what you want? Then give our friendly team a call as they are more than happy to offer their expert advice as we appreciate that without trying out a mattress it is difficult to choose a mattress that would feel just right for you.